For most of us, in this work-a-day world, we find that we are bound to our employment, if we are currently employed; and our employment requires most of our time and attention. Even when the money is in the bank, we find that time and circumstances tend to limit the opportunities to get out and enjoy the world or great outdoors the way we truly desire to. Depending on where we’ve grown up — or where we currently reside — some of us become familiar with the local opportunities, and make the most of them as weekend adventurers. And then, there may be the occasional opportunity for those broader journeys — where we broaden our horizons and experience the offering of another state or even another country. Indeed; every part of the country and the world has its own beauty and its own bounty. What we hope to be able to share with you is just a small part of the beauty and bounty of the northern Great Basin — especially what is known as the basin and range of SE Oregon. More specifically, we hope to be able to share with you the plight of an ‘extinct’ trout that is really not quite extinct. Perhaps, if enough people become aware; and if individuals, states, organizations and agencies care enough to take action—a difference can be made for these rare, precious, survivors of the desert—that against all odds still exert their presence here! 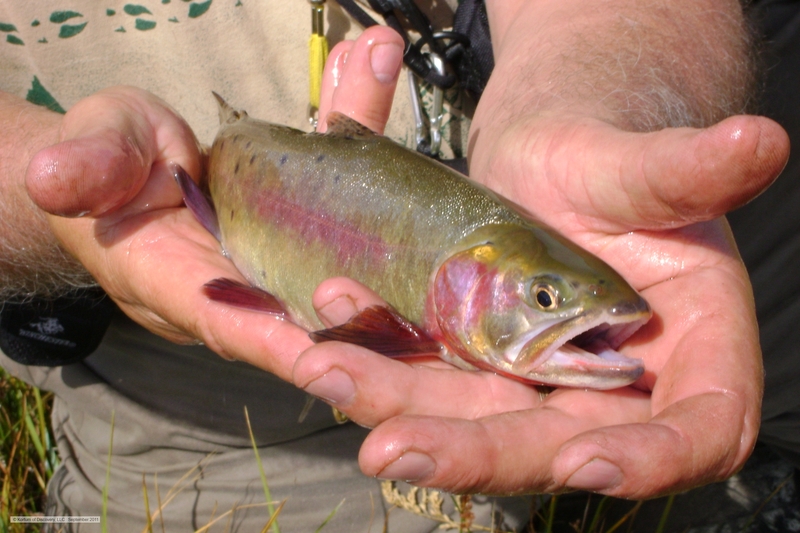 The Alvord cutthroat trout was considered extirpated by hybridization with rainbow trout that were introduced to its home waters of Trout Creek, Oregon and Virgin Creek, Nevada. 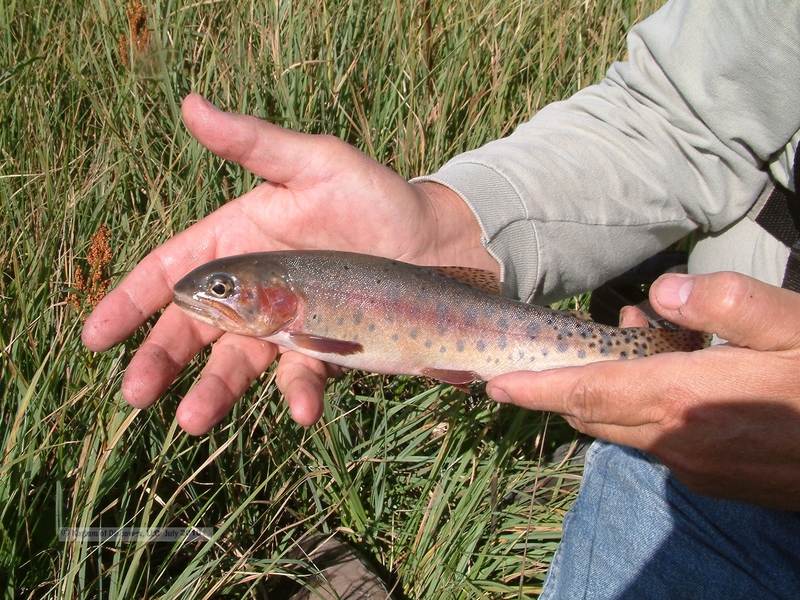 In the mid-1980’s there was a flurry of excitement over a remnant of the Alvord cutthroat trout found in Virgin Creek (and even as late as the year 2000 it looked like a remnant still remained in Virgin Creek). 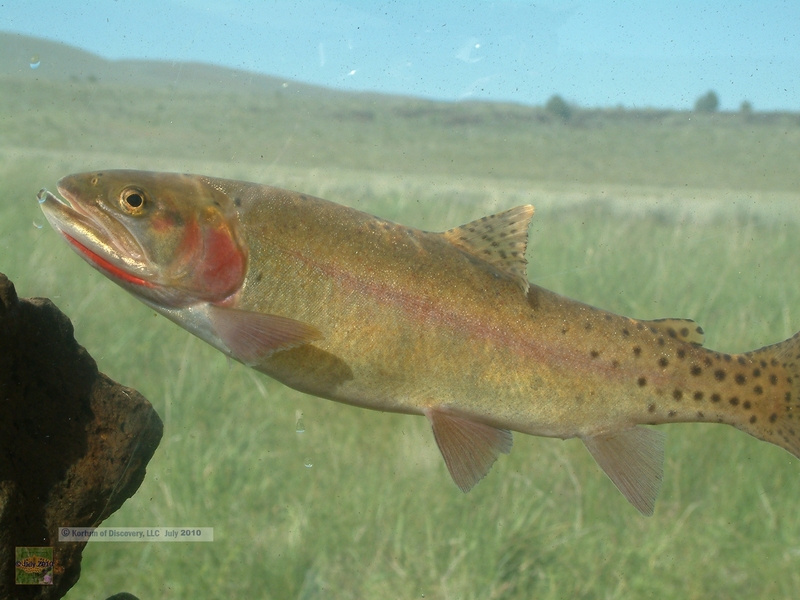 Yet, sadly, due to a number of factors, these trout were lost to history — and the Alvord cutthroat trout generally became considered to be truly extinct. 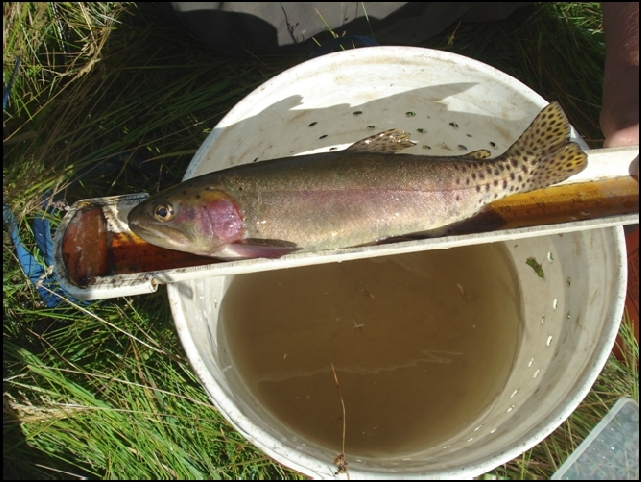 Yet, in 2006 Dr. Robert Behnke and ODFW personnel identified a remnant of phenotypical Alvord cutthroat trout in an isolated remote SE Oregon stream. 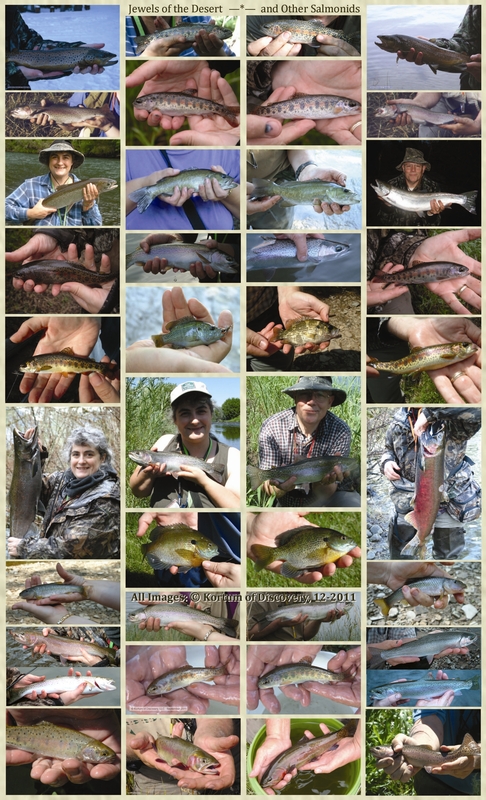 In a 2007 Trout Magazine article Dr. Behnke published the story about the finding of these phenotypical alvordensis; and his thoughts/recommendation as to how it might be possible to preserve this remnant. 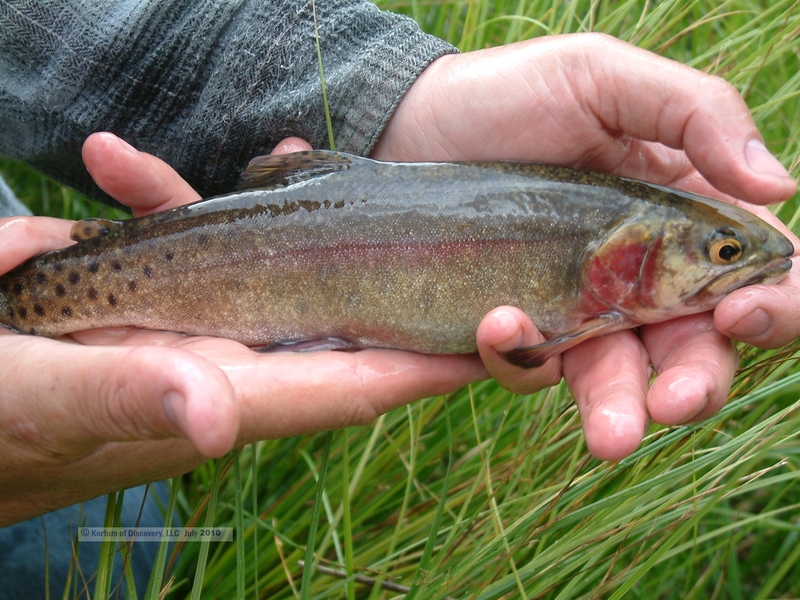 This visible remnant of alvordensis would ultimately lose the phenotypical expression that they were still manifesting (through hybridization with other trout strains that ODFW had been introducing into this small stream). 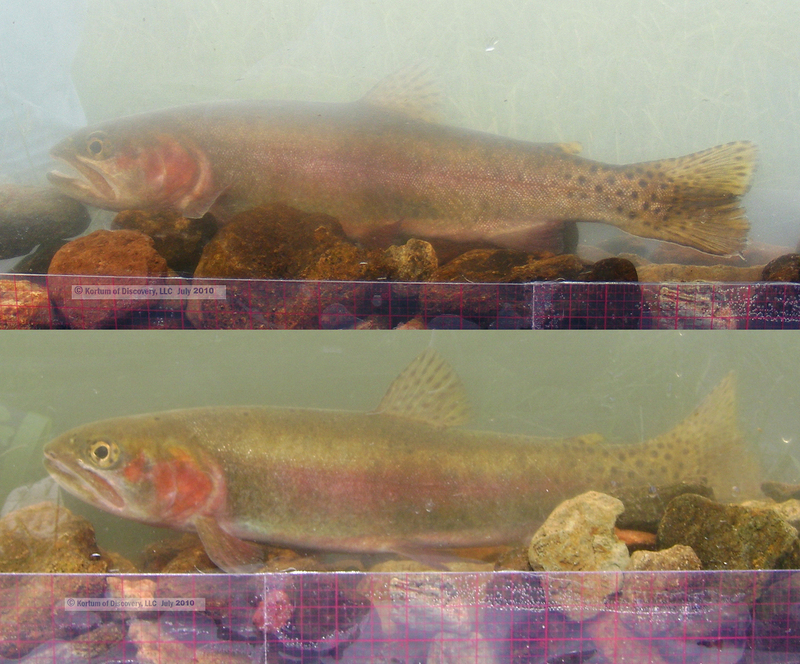 Dr. Behnke suggested taking the best phenotypes for transplant into a suitable, yet uninhabited, stream to save the remaining characteristics and establish these phenotypical Alvord trout as a self-populating ‘Alvord’ remnant with all of the outward characteristics of the Alvord cutthroat trout dominant in their appearance. 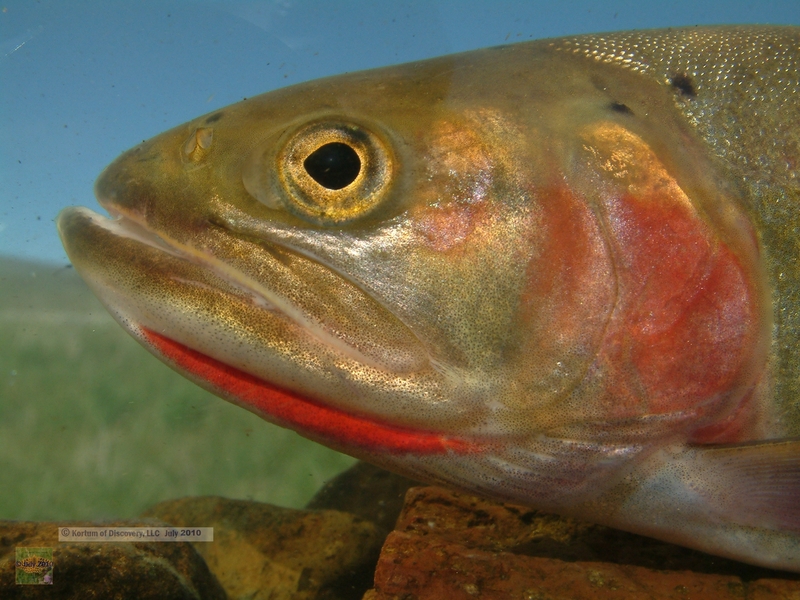 In the native Alvord cutthroat trout systems of Trout Creek, OR and Virgin Creek, NV – it was such a few years after the introduction of Rainbow trout that the majority of Alvords of each system vanished from view as introgression destroyed their visible characteristics. 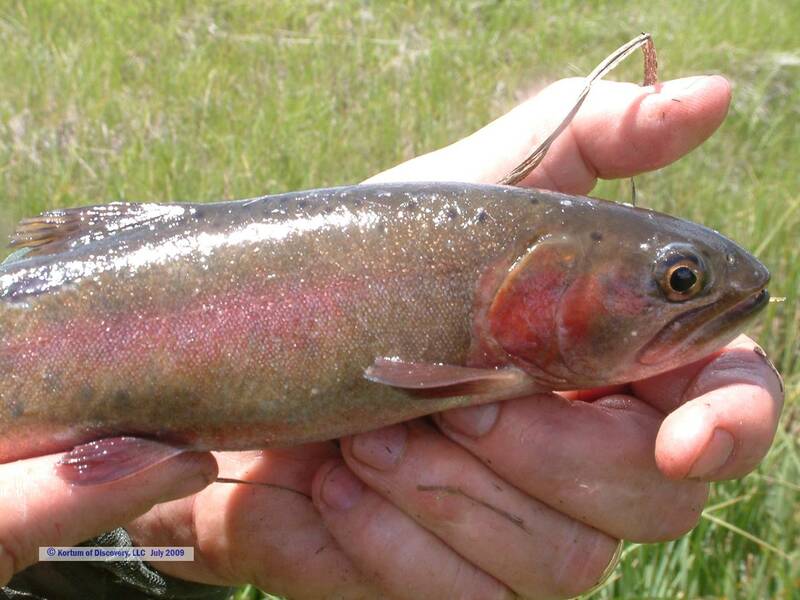 In fact the introgression only first began “in 1957 with Lahontan cutthroat trout collected from Willow Creek in 1955 and reared at Wallowa Hatchery” (Oregon Native Fish Status Report). 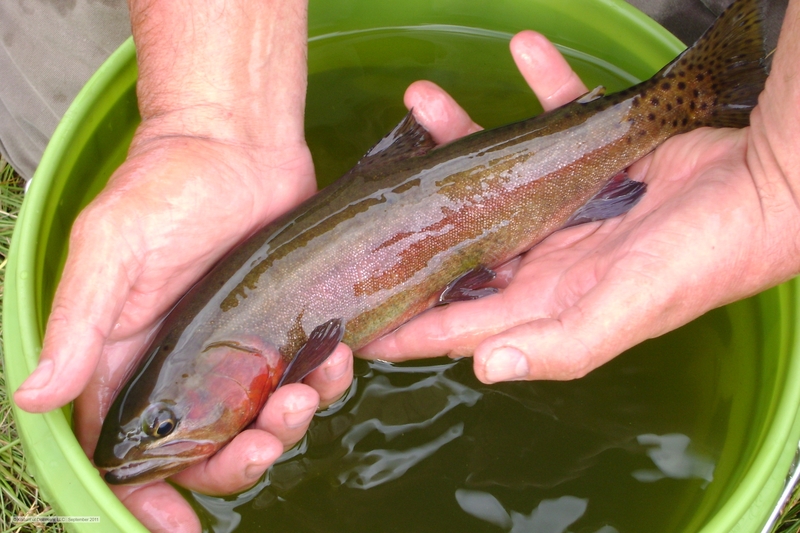 As most fisheries biologists will acknowledge—small hatchery trout tend to have a low initial survival rate. 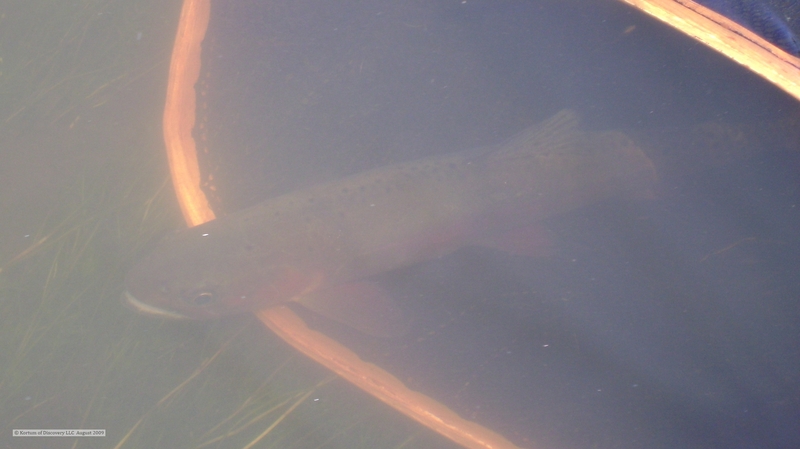 Since these (and latter hatchery trout) were inevitably planted in the most accessible locations of the ***** Creek system — and the alvordensis population would have had a “head start” in saturating the whole system — these latter introductions most likely initiated a sporadic and limited introgression for a period of years after release. Yet such a situation cannot go on forever. 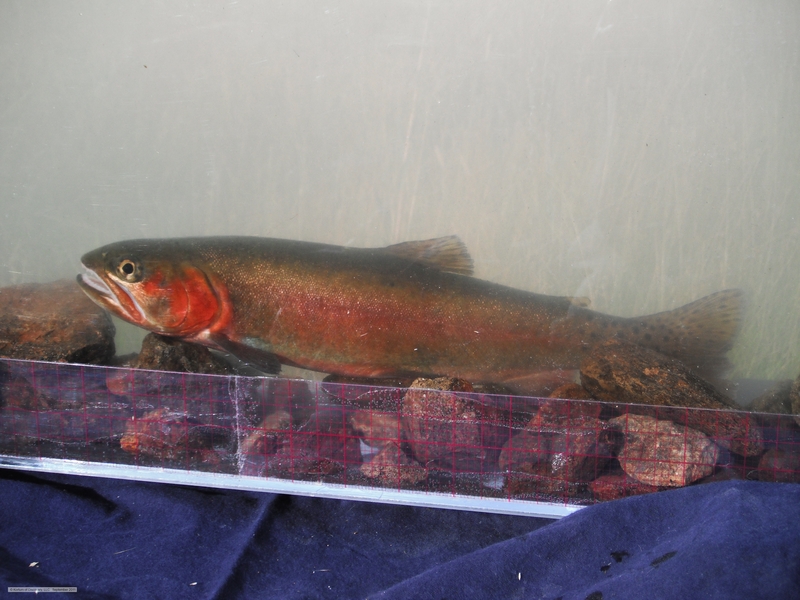 It is plain to see that a genetic “time clock” has been in process for decades—and now only in this narrow window of opportunity can this remnant of phenotypical Alvord cutthroat trout be rescued and restored. 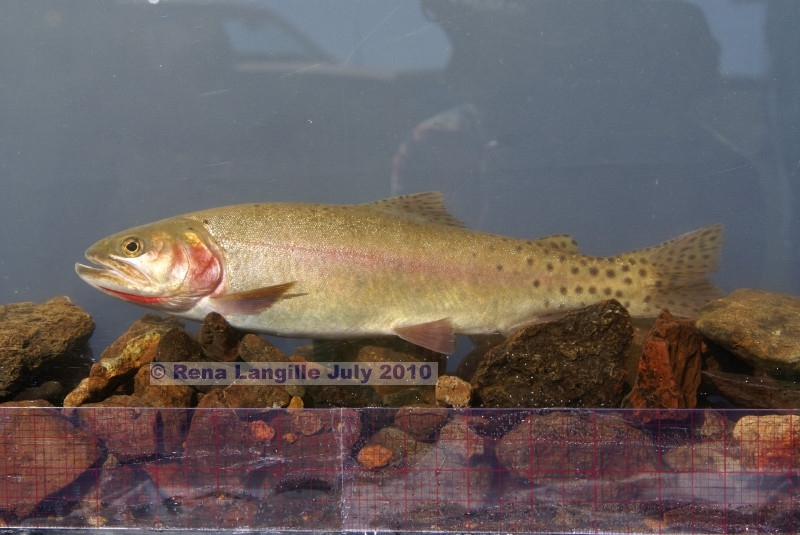 If we desire the streams of tomorrow to safeguard the distinct rugged living beauty of this rare survivor of the desert then now is the time to take action in behalf of this remnant of Alvord trout. 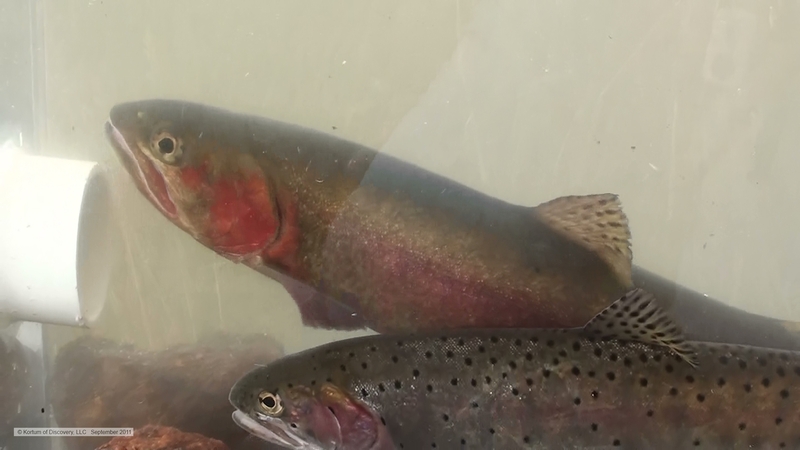 Plus, an expression of urgency: Over 10% of the total time that hybridization has been in process (since the introduction of other trout strains) has passed since SE Oregon Fisheries Biologists were apprised of this situation by Dr. Robert J. Behnke in 2006. 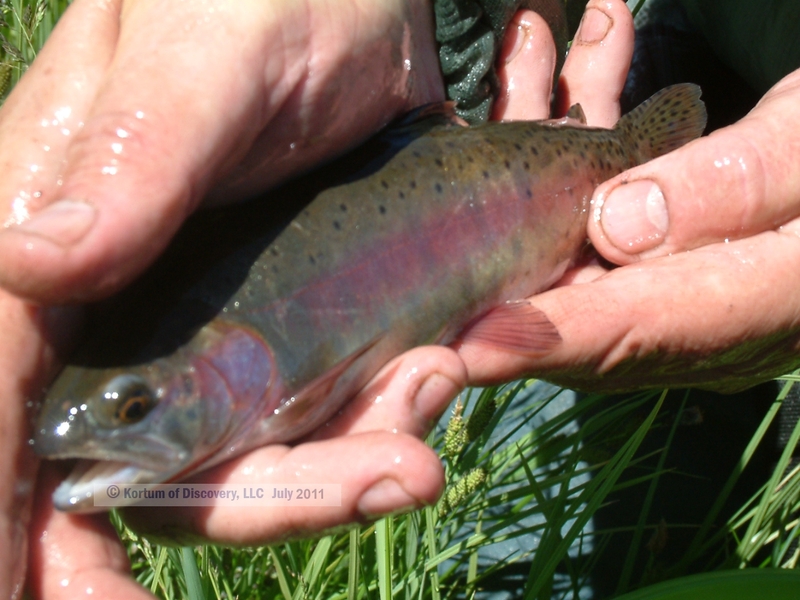 Fifty-five years ago, the first of known nonnative trout began to be introduced into this stream by ODFW. 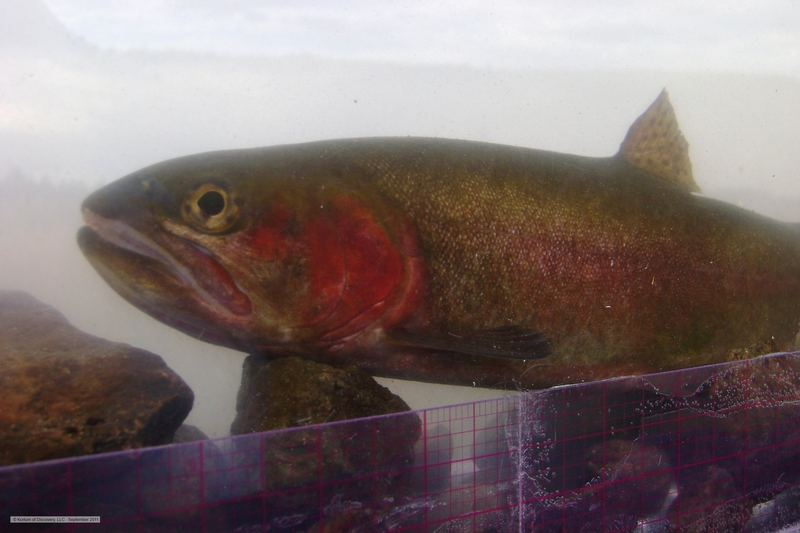 Those who have frequently been on the system—assert that the ratio of the optimal Alvord cutthroat trout phenotypes, in comparison to other cutt strains, seems to be on the decline. Waiting until tomorrow may simply be too late to preserve the best remaining phenotypes. Letters of support for an Alvord phenotype rescue | restoration project may be sent to: Shannon Hurn, ODFW District Office, 237 Highway 20 South/PO Box 8, Hines, OR 97738 Here’s an example of a Letter of Support that may provide a framework for assistance. 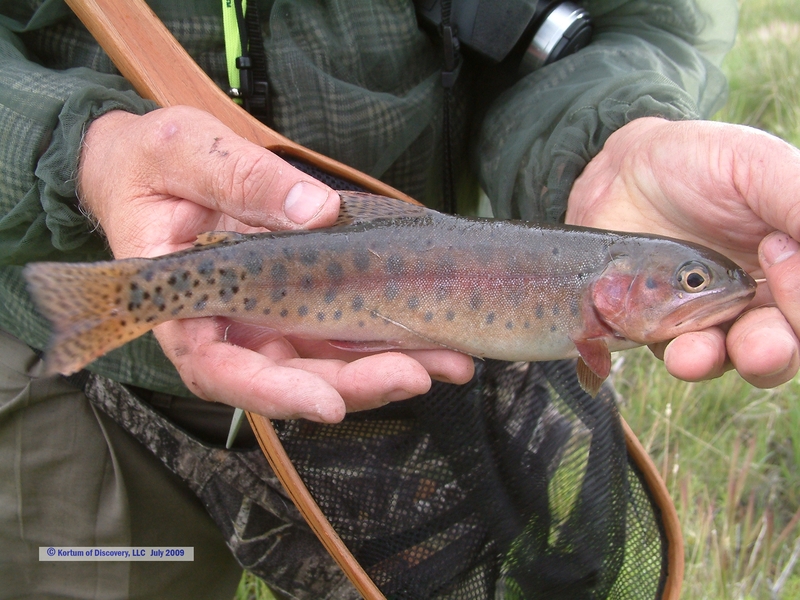 Years ago, as an outreach of our natural enthusiasm for fishing small remote trout streams, we began to realize that we’d been catching rare and endangered trout. It truly “tripped our trigger” to realize that though these trout were small, we were catching (and releasing) beautiful rare trout of unique genetics and stunning appearance — beauty that few of us might ever behold first hand in our lifetime! 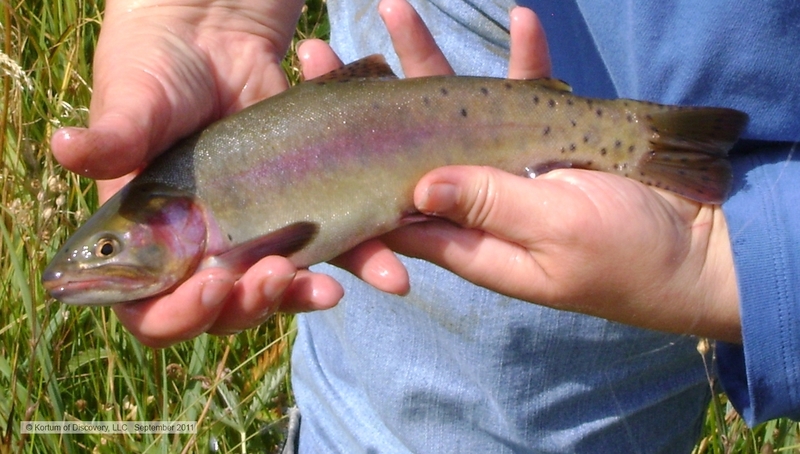 While the trout themselves yield a matchless beauty, it’s also true that the rugged expanse of the desert and mountains, valleys and streams of the American western basin and range also hold incomparable splendor and majesty; with an abundance of desert wildflowers and rare wildlife, and with ecosystems of origins and interconnectedness that science has yet to fully understand. Thus the quest was born. The quest to catch, and release, at least one new species of trout each year—and document the unique surroundings and habitat that each of these precious gems inhabit. Ultimately, we’d like to share the unique charm and perfect nature that each of these species present. We’d like to share the grandeur and distinctive abilities of each of these wonders with you; our fellow nature lovers and native trout enthusiasts everywhere. Kortum of Discovery (a slight play on Lewis and Clark’s Corps of Discovery) is our family team that is Affirming the Exceptional Beauty of Nature — One Adventure at a Time! In process of time, new techniques and “fish getters” have been developed to entice these little buggers — and bring them to hand — without injuring or traumatizing them; and yet allowing for detailed documentation and photo journalism to be successfully achieved. Perhaps, in due course, some of these methodologies and technologies may also become useful for other researchers, conservationists and native trout enthusiasts alike. 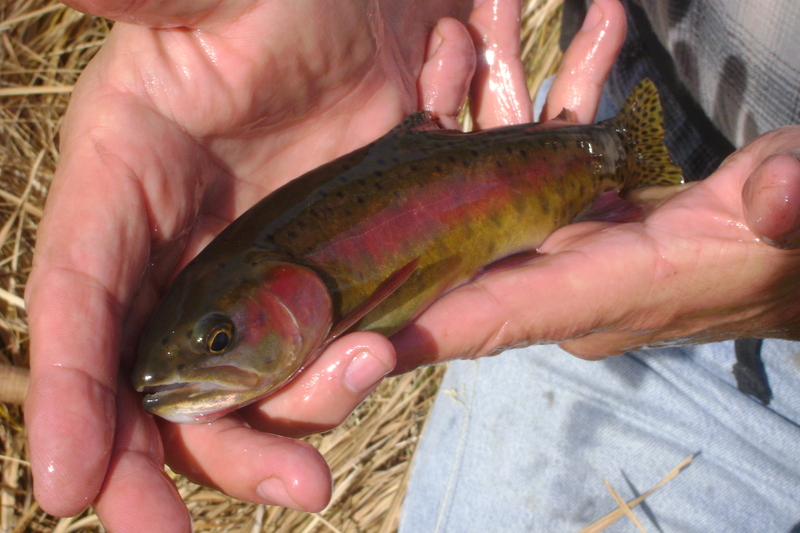 Many years ago we’d been to the headwaters of Trout Creek (the native home in Oregon of the “extinct” Alvord cutthroat trout), and we’d been to other systems in the Trout Creek Mountains and the Pueblo Mountains of SE Oregon, in the hope that “alvordensis” were still extant—somewhere. Thus Dr. Behnke’s article was interesting, and heartening, to us. 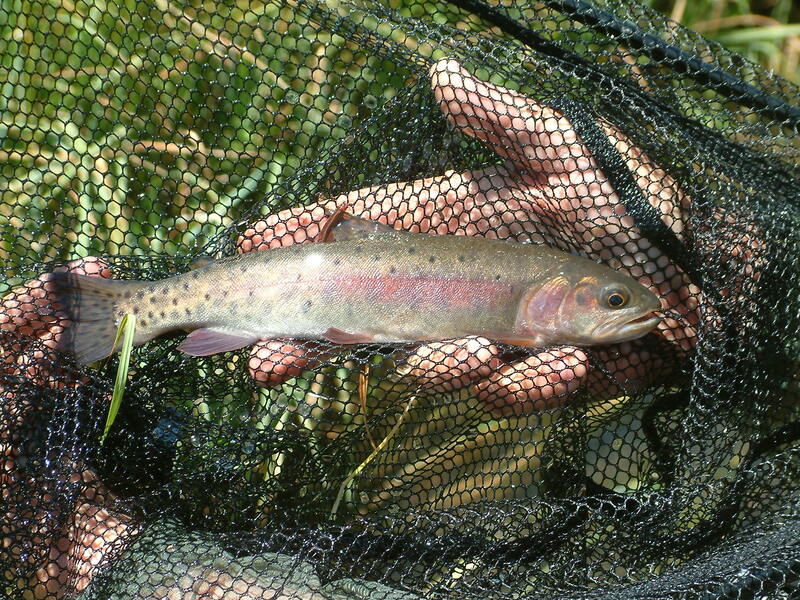 Since spring of 2008, many journeys have focused on these unique trout found in this small stream some 40 miles from the known home of the Alvord cutthroat trout. 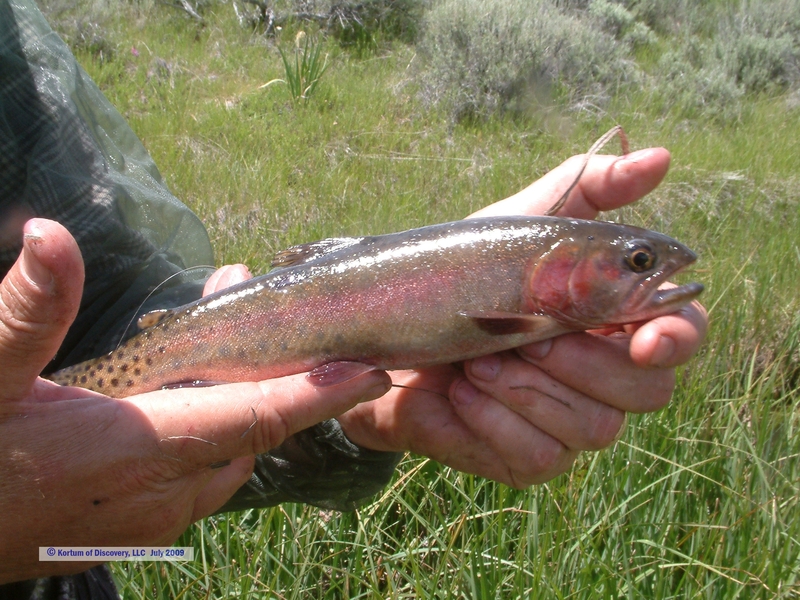 So, the current summary of this site is dedicated to the unique and beautiful trout found in this remote SE Oregon desert. Perhaps there are more questions generated than there are answers found. 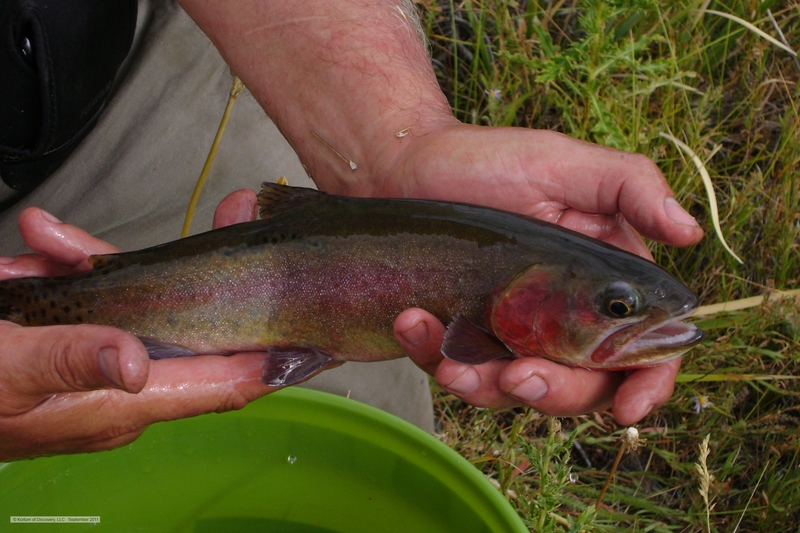 Indeed, on more than one occasion, it would seem that we’ve caught Lahontan, Humboldt, Alvord, Yellowstone, Bonneville and Paiute cutthroat trout (perhaps also with Rainbow or Redband thrown in) all in the same day—in a stream small enough to simply step across. 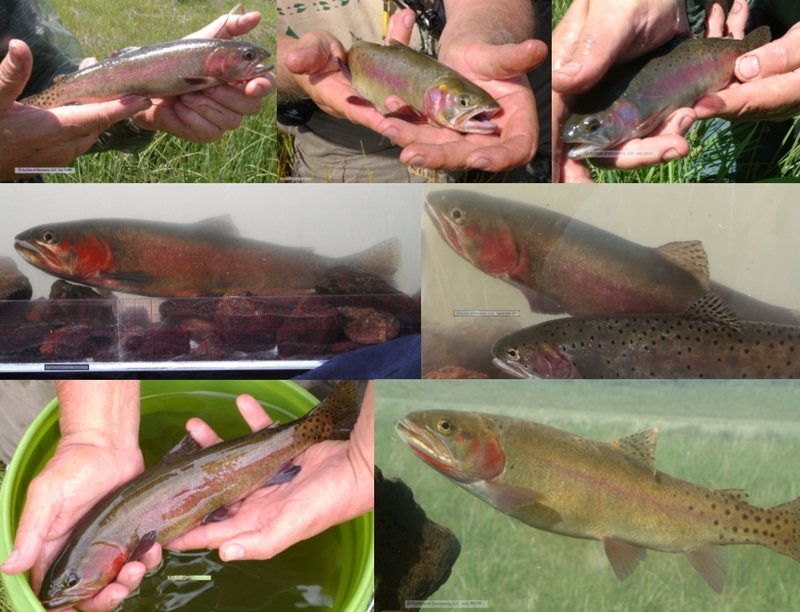 We realize that these are, at least in part, outward genetic expressions of cutthroat trout that in actuality are from the same basic genus and species. Yet the unique trout diversity expressed in this tiny stream is truly among the most remarkable to be found anywhere! Thank you for joining us on this uncharted journey and adventure of discovery: the pursuit to truly identify, separate, secure, and hopefully restore, the Alvord phenotype (if not also the genotype) to suitable streams in their remote northern Great Basin habitat—that they may successfully self-sustain and flourish; that future generations may also be privileged to fully appreciate their distinct beauty and adaptation to this remote desert environment. A few Salmonids / Desert Gems; while Affirming the Exceptional Beauty of Nature One Adventure at a Time!